Protesting villagers in the Eastern Cape, who blockaded the R61 between Ntlaza and Port St John’s, were dispersed by a special unit of the police. They’re complaining about an unfulfilled promise to fix a bad road which leads to two villages. The community leaders have vowed to use their vote to fight the battle, this after motorists were stranded for hours while protesting residents blocked the road. They diverted vehicles to the dilapidated T191 which is the cause of their unhappiness. But it was not long before the public order policing unit arrived to disperse them. Another resident, Luzuko Teno says the roads need to be fixed. The transport department says the plan is to re-gravel the Majola Road in the first quarter of 2019/2020. 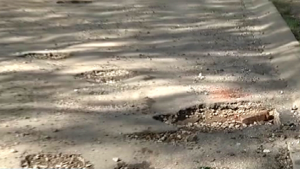 The post E Cape residents protest over failure to fix bad roads appeared first on SABC News – Breaking news, special reports, world, business, sport coverage of all South African current events. Africa's news leader..